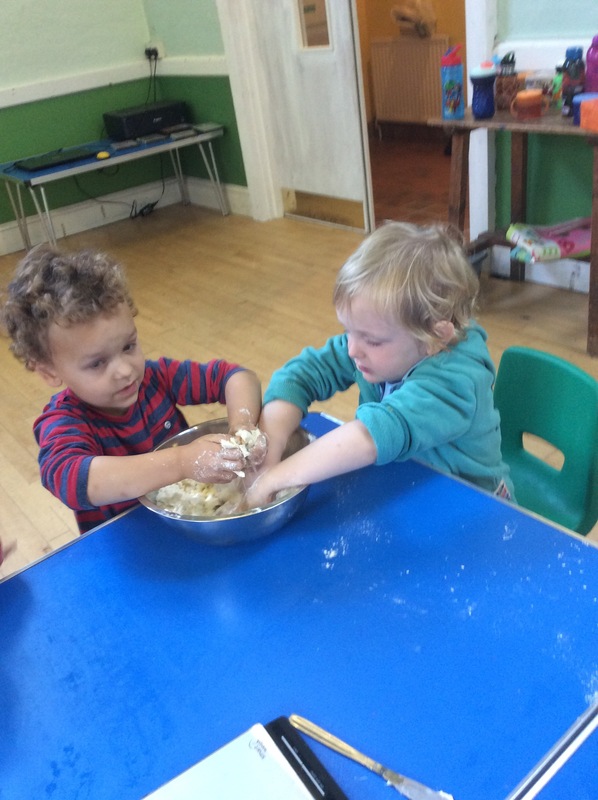 We have had a fun morning making apple crumble. Firstly we talked about where the apples had come from. One of the children’s Grandad had knocked the apples down form his tree and she had helped to collect them up. 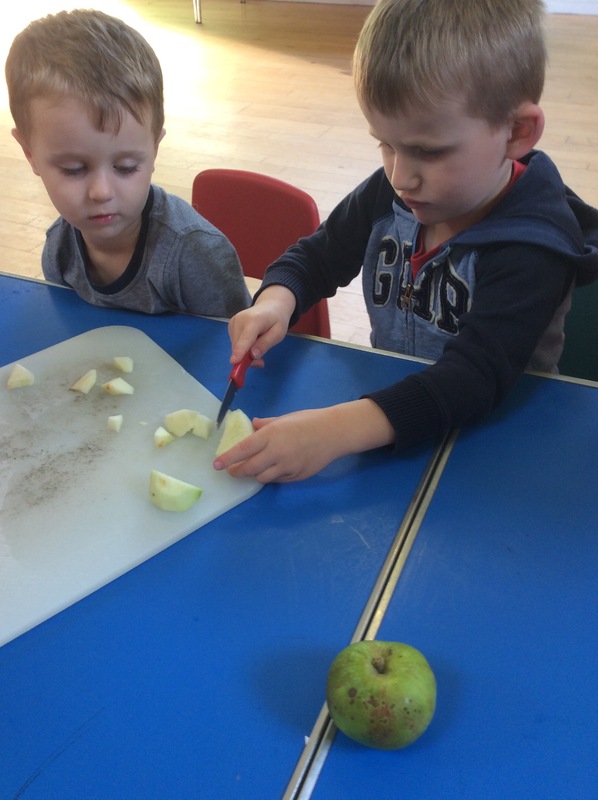 The children helped to peel and chop some of the apples. As the apples cooked we then all helped to make the crumble. 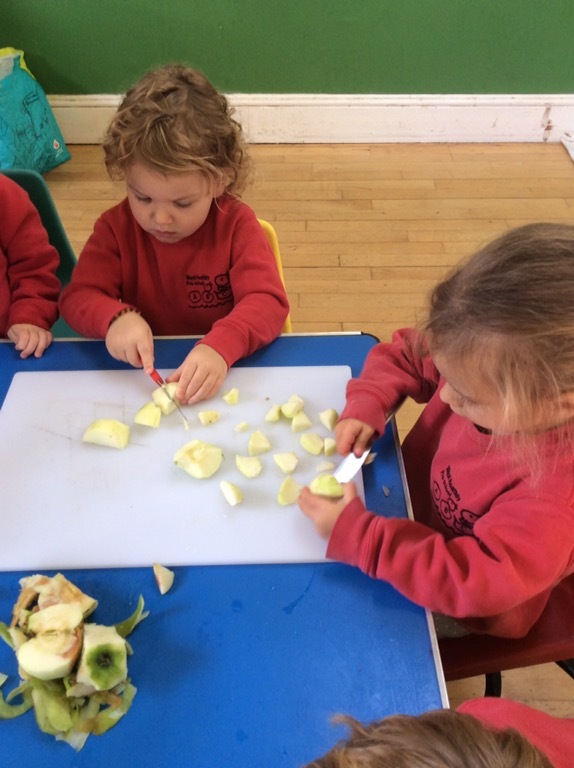 The children helped to weigh out the ingredients and all took turns at mixing it up. 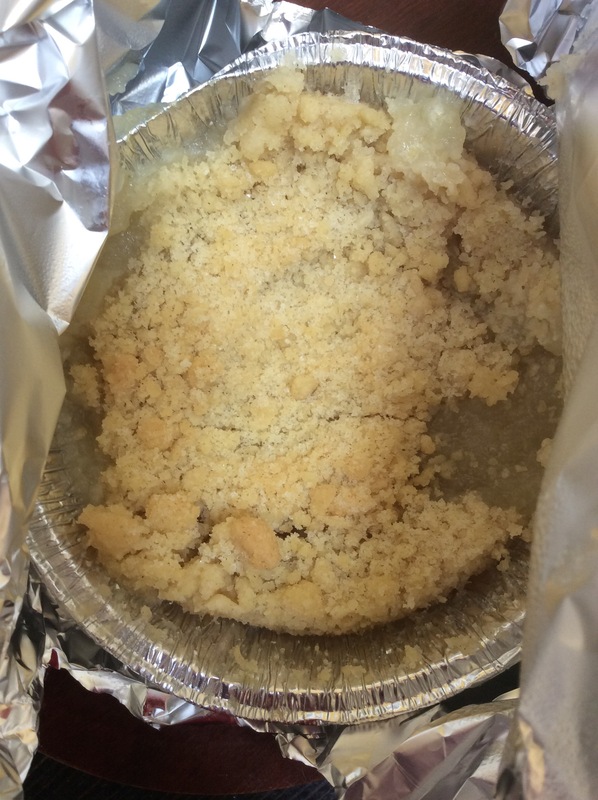 All the children got to take home a small apple crumble they had to help make. 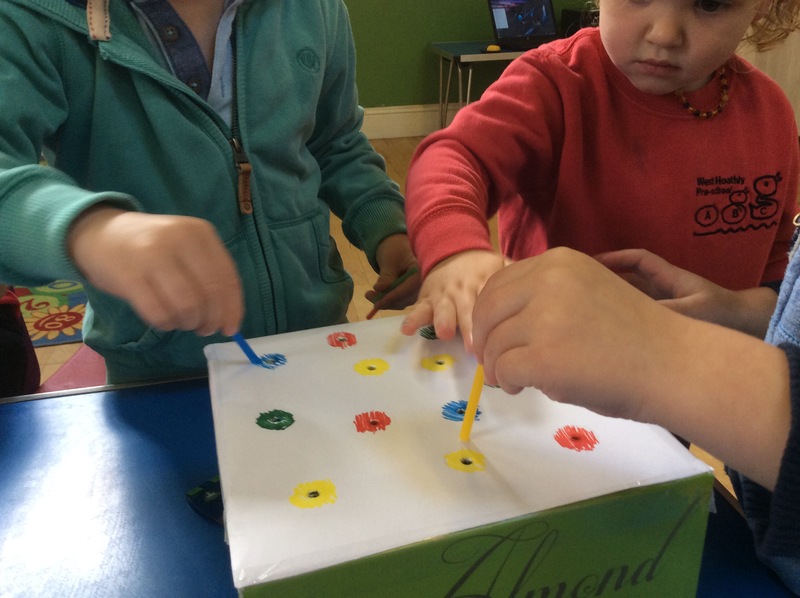 As well as all our cooking fun we used the threading and also Becca made a new activity which involved colour recognition and fine motor skills. Placing coloured straws through matching holes.